Well, I got so many questions about my previous articles on a new way of doing snapshots with VVols that I decided to take the time and get even deeper into their behaviour. In this setup, I take a Windows 2008 Guest OS running in a virtual machine deployed on an NFS datastore, and I compare it to an identical VM deployed on a VVol datastore. This is purely from looking at how we do snapshots. Remember with VVols, snapshots always run on the base disk, compared to the traditional way of doing snapshots where the VM always run on the top-most delta in the chain. Really, the only major differences are the fact that the NFS based VM has the very large flat file, whereas the VVol based VM has a VVol object which is not visible in the listing. Let’s now go ahead and take some snapshots of the NFS based VM, and remind ourselves of how things traditionally worked. Next, let’s examine that descriptor file for that VMDK. What is interesting to note here is the CID (Content ID) of 3a1e7b0a and the extent description which points to the flat file win8-on-nfs_1-flat.vmdk. A snapshot is taken. The .vmx file now references new snapshot -00001.vmdk. The descriptor file for this snapshot now references VMFSSPARSE -000001-delta.vmdk. This implies that the VM now runs from the new redo log disk. The snapshot chain is now snap1 delta -> base disk. Let’s now turn our attention to the VVol based VM. Next, let’s examine that descriptor file for that VVol. The identifier in the extent description is a combination of the container ID and the VVol UUID. Let’s make a note of the second to last field of the VVol identifier: aec3. And if we check where the VM is running, it states that it is running off of the disk represented by this descriptor file. It would appear that we are running off of the snapshot, but lets look at the snapshot descriptor. Notice anything? Now, pay close attention to the VVol identifier in the Extent Description. Does it look familiar? Yes, it is the VVol identifier for the base disk – aec3 – noted earlier. So even though we appear to be running off of the snapshot, we are in fact continuing to run off of the base disk. This is what is referred to as re-parenting. Another term I’ve heard is descriptor swizzling. Whichever, this mechanism allows VVol snapshots to continue to run off of the base disk, bringing with it the advantages highlighted in my previous post. Hopefully you get the idea of how we can run with both the new “undo log” format of VVol snapshots in vSphere 6.0 as well as continuing to support the traditional “redo log” format of traditional snapshots, and still facilitate their management from vSphere. When we started, this VM was running off of a VVol base disk with identifier aec3. Next we took a snapshot. The .vmx file now references a new snapshot -00001.vmdk. However the descriptor file for this snapshot references the original VVol base disk aec3. This implies that the VM continues to run from base disk VVol. One other thing that you will notice is that every VVol snapshot is a “child” of the base disk. This is because every snapshot is a point-in-time representation of the base disk. As such every snapshot will reference back to the base disk. Not sure if you have covered it yet, but does SRM support VVOLs? NEW vSphere Replication 6.0 supports replication of virtual machines on Virtual Volumes (vVols) with limitations. Site Recovery Manager 6.0 does not support the protection of virtual machines on Virtual Volumes, even if you use vSphere Replication as the replication technology for protection. My interpretation of this is that SRM 6.0 does not support VVOLs – if not do you know when it will. Also is there anything else that does not support VVOLs or from an application point of view are they unaware that the storage system is using VVOLs? Array based replication is also not supported with VVols in this initial release, so SRM support is moot in this case. As from an application point of view, I’m not aware of any interop issues. However there is a VVol interop KB in the works which should be published any day now. 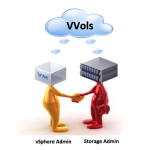 I know I have asked this before, but are there any dependencies for VVOLs on VAAI? Off-loading cloning, snapshots, etc are all functions of VAAI, but I assume these are included as standard with the VVOLs license. As we said before VVOLs is included with vSphere Standard, but VAAI comes with Enterprise. If my understanding is correct VVOLs is a super-set of VAAI and therefore as customers move to VVOLs, VAAI will become obsolete. Or have I got this wrong as it is a little confusing. 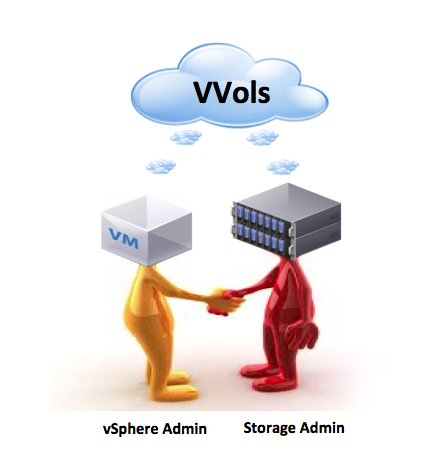 VVols is more of a dependency on VASA rather than VAAI Mark. If you look at this post on migrations – http://cormachogan.com/2015/02/27/migrations-and-virtual-volumes-deep-dive/ – you’ll see that first we try VASA primitives. If these don’t work, we try VAAI primitives and if they don’t work we’ll fall back to traditional methods. However I don’t know what impact licensing has on this – one assumes that if you do not have a license for VAAI, you won’t offload if the VASA primitives are not supported. Let me check further.